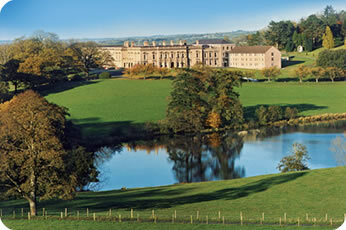 Welcome to the website for Dromantine Retreat and Conference Centre. I invite you to take some time to browse through our site to see the facilities, grounds and events on offer. Dromantine retreat and Conference Centre offers a modern, comfortable, well-equipped facility in the most idyllic of rural settings, away from the noise and distractions of everyday life. 8 modern well equipped Conference rooms accommodating 10 - 250 - all with free broadband access. A large chapel which can accommodate 180. This Clip shows stunning views of the exterior and interior of the House and the surrounding grounds. This clip is now on YouTube. If you wish to view the full size movie on the YouTube site, please click on the link which appears when you roll your mouse over the top part of the movie clip. We have an online photo gallery showcasing a wide collection of images of the House and Grounds through the years and seasons.